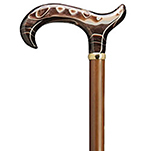 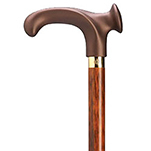 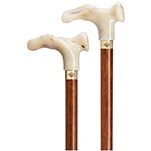 Ladies very dressy derby handle cane with "Harvy" signature ring . 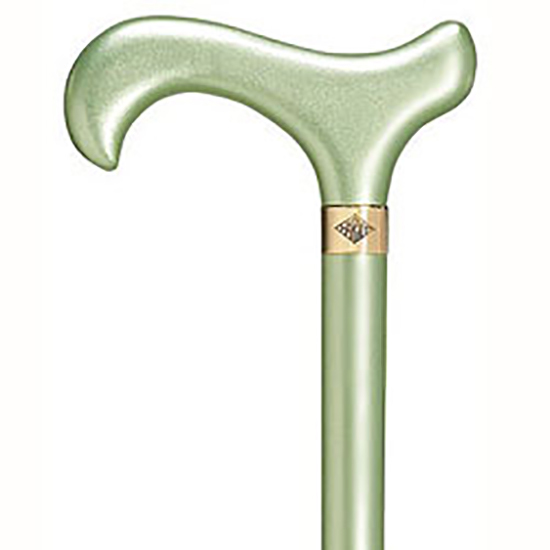 Metallic high gloss green apples finished shaft. 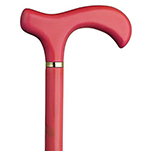 36" long, with a slight taper from 7/8" to 3/4".